The eagle feather head dresses worn by the Plains Indians were symbols of their rank within their tribe, their society. 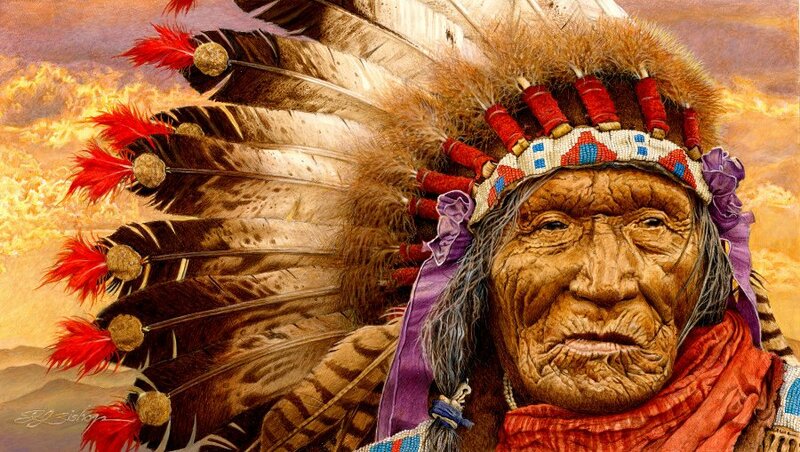 The larger the display of feathers and adornments, the greater their stature not only in the tribe, but in the Indian Nation(s) as a whole. Much like military medals, each feather placed in the head dress was indicative of an event where that brave had shown valor, courage, or leadership. Interestingly enough, one of the greatest displays of courage that a brave could accomplish was just to “touch” an enemy, it was felt that anyone could kill an enemy, but just to touch him and retreat, or get away unscathed was a more remarkable feat and it was known as a “coup”. Indians not only gained feathers for their head dresses in this fashion, they also tied them to long wooden staffs that they carried like spears, these were known as “coup sticks”.